BPM legal is a commercial law firm with its focus on advising and representing new media companies (Internet, mobile, communications, information) as well as on the areas of IP (Intellectual Property) and IT (Information Technology). The core competences of the lawyers generally are in the areas of Internet and/or e-commerce law, in particular trademark, domain, competition law, copyright law and data protection. Thanks to the focus on issues concerning the Internet industry and our many years of experience in the core fields of law we can offer competent advice to companies of virtually any size. The advice given by BPM Legal is characterised by a high degree of understanding of the particular technical and commercial requirements of the target group. We are aware that apart from general legal work, communication is very important for our clients. Therefore, we cooperate with numerous external service providers such as online marketing agencies (SEO and SEM), Internet service providers (ISP) or domain registrars. In this manner we ensure that all technical and commercial aspects relevant for the individual case are taken into consideration. The results of our work are commercially viable solutions and not just lawsuits won. Christos Paloubis was born in 1970 and studied law in Munich and Rome. He completed his legal internship in Munich and New York. In 2000 he was admitted to the bar in Germany. Already during his studies, Christos Paloubis concerned himself with the then new medium Internet and the pertaining points of law. As a student he organised seminars on Internet law already in 1997 for Online-Anbietervereinigung e.V. (previously BTX-Anbietervereinigung). During his legal internship he could deepen his knowledge in New York at iName.com, Inc. where he mainly dealt with issues of domain law. Following his Second State Examination, Christos Paloubis worked as a managing director of Online-Anbietervereinigung. Subsequently he was General Counsel at Munich's Interway AG and at uboot.com in Switzerland. 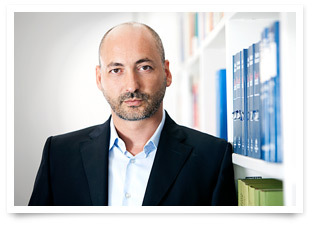 Simultaneously, Christos Paloubis has been working as an independent lawyer since 2000 - at first for Willfort Rechtsanwälte in Munich and since 2008 under his own name. Both in his work for companies as well as in his work as a lawyer one focus has always been on all legal issues related to new media, in particular Internet law, copyright, competition, telecommunications and data protection law. In various capacities he accompanied the foundation and the set-up of several new Internet companies, e.g. as a member of the management board of POLIXEA AG from 2006 to 2008. Christos Paloubis writes the blog Internetrecht München (www.internetrecht-muenchen.com). Peter Müller was born in 1973, studied law at Julius-Maximilians-Universität in Würzburg and at Ludwig-Maximilians-Universität in Munich where he also took both his State Examinations in law and completed his legal internship. He has been admitted to the bar since 2005 and received the title "Fachanwalt für gewerblichen Rechtsschutz" (Certified IP Lawyer) in 2010. He is Qualified Domain Dispute Resolution Panelist with the National Arbitration Forum (NAF) (UDRP, URS, PDDRP, RRDRP, SDRP, REDRP) since 2013, Domain Name Panelist with the Asian Domain Name Dispute Resolution Centre (ADNDRC) (UDRP, URS, PDDRP, TDRP) since 2016, and member of ICANN's Policy Development Process Working Group since 2016. Already during his studies he focussed on the area of industrial property protection, in particular in relation to the Internet. Peter Müller was working in the area Intellectual Property as a research assistant during his studies and later on also as a legal intern with the law firm Linklaters Oppenhoff & Rädler (formerly Oppenhoff & Rädler, now Linklaters) in Munich. 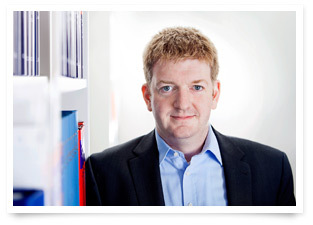 For many years he has been writing a weblog with the focus on domain law (www.muepe.de). Peter Müller started his professional career at the patent and law firm Bettinger Schneider Schramm in Munich. There, he was mainly working in the areas trademark law, competition law and copyright law. He advised on the set-up and enforcement of international trademark portfolios, including legal representation and structuring of licence agreements, and successfully litigated numerous disputes, above all with regard to domain names. Apart from that, he contributed to the first edition of "Handbuch des Domainrechts" (Domain Law Manual). Another focus was on the advice on and representation in extra-judicial dispute resolution proceedings, i.a. according to the Uniform Domain Name Dispute Resolution Policy (UDRP), the usTLD Dispute Resolution Policy (usDRP), the IN Domain Name Dispute Resolution Policy (INDRP), the Dispute Resolution Service Policy for .uk (DRS Policy) and the Regulation (EC) No. 874/2004 (ADR proceedings for ".eu"). Felix Gebhard, was born in 1982 and studied law at the Ludwig-Maximilians-University in Munich and the Universidad de León in Spain. He completed his legal traineeship in Munich and Washington, D.C.. He was admitted to the German Bar in 2013. Already during his studies, he focused on competition law, intellectual property and media law. As part of his legal traineeship, he worked for BPM legal and dealt with issues of online law and intellectual property rights. Furthermore, at the commercial law firm Berliner, Corcoran & Rowe LLP in Washington, D.C., he gained insights into US law, especially in the areas of intellectual property and corporate law. 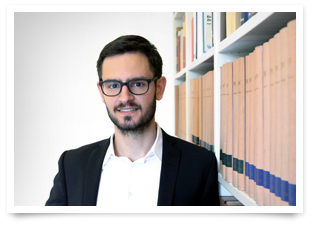 Felix Gebhard is an associate at BPM legal since May 2013. Since October 2017 he is also a certified data protection officer (DSB-TÜV SÜD).